“We assume that at least some of Samaraweera’s claims about Fonseka’s ‘liberalism’ are exaggerated and meant to impress us.” the US Embassy Colombo informed Washington. The Colombo Telegraph found the leaked cable from the WikiLeak database. The cable classified as “CONFIDENTIAL” recounts details of a meeting Ambassador Patricia A. Butenis has had with General Sarath Fonseka’s chief campaign strategist Mangala Samaraweera on January 6, 2010. 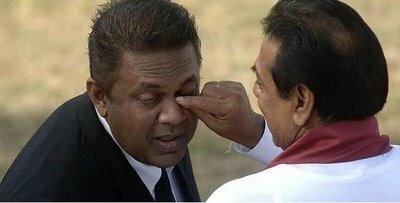 With his intimate knowledge of Mahinda Rajapaksa’s thinking and methods, Samaraweera is as much of a danger to them in the presidential campaign as ‘traitor’ General Fonseka. “We assume that at least some of Samaraweera’s claims about Fonseka’s ‘liberalism’ are exaggerated and meant to impress us. Nevertheless, the general and his agents are making promises that it would be hard for them to walk back. The 10-point program signed with TNA leader Sampanthan would radically alter the government’s relationship with Tamils and would represent a major step toward national reconciliation. Similarly, their telling us about their plans for a truth and reconciliation commission – though not announced publicly – puts them on the hook with the international community. The next few weeks will tell whether this strategy is a winner, but in the mean time it has breathed new life into Sri Lankan politics and brought issues to the fore that had been all but buried.” the ambassador further wrote. Read the cable below for further details. logistics of a truth and reconciliation commission. socialism" of the Rajapaksas. END SUMMARY. ¶3. 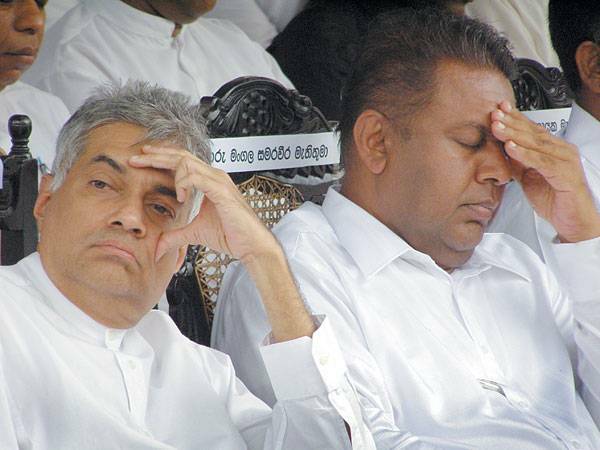 (C) Samaraweera said he was "increasingly optimistic"
back-firing on the Rajapaksas by turning people against them. push Sri Lanka to its own Orange Revolution, as in Ukraine. the war triumphalism the Rajapaksas preferred. and future of Sri Lanka. Mahinda Rajapaksa was "not so bad,"
"unitary" not just a "united" country. new government on reconciliation and accountability. minorities, and promised great reforms for Sri Lanka. making promises that it would be hard for them to walk back. would represent a major step toward national reconciliation. Ranil: I hope my good “buddy” will appoint me as Prime Minister-in Waiting; Mangala, I realize my mistake, it is high time to cross-over with Ranil-GAY, while the going is good. To hell with the people who voted for us!!!! Mangala know that sooner or later Mahinda will need a ‘manager’ like him. So Managala does not attack or seek the destruction of Mahinda . But he is totally revengeful of Basil and Gota who robed his political path. He within him honestly did not believe in Fonseka knowing well Fonsekas’s hard line on the Tamils. I would imagine Mangala will rejoin Mahinda if , and only if Mahinda makes a friendly gesture. At that point he would single handedly make efforts to destroy the remains of the UNP. I think Mahinda should bring Mangala back to damage control his sinking ship. Then there will be greater questions of the liberalism that Mangala talks of. no can believe him can you?we know wht he did when he was with CBK! All this shows is Butenis’ preferences which, sadly, seep into her readings and assessment, esp the inflated worth of Mangala Samaraweera. It also shows that Butenis is not a diplomat but a meddler. 10 points with TNA. who is TNA ? political part of LTTE. Fonseka got huge money of dollers for this contract use for the election. that what he has no war crime from LTTE. Butenis got herself humiliated with stupid statements she made with regard to Sri LAnka, as revealed by previous Wikileaks docs. But in this one, she got it fairly right. Who believes what Mangala says, she confirmed it on international stage as well. SF a diehard rascist connected to sihala urumaya and a oppourtunist but not a politician in the calibre of mangala. Mangala the maverick he is open gay . but not a political gay( in sinhalese language) like ranil. Mangala rendered a yeoman public service, a great public servant. Unfortunately political powerstruggle and pride cost him a great oppourtunity with the UPFA.and GOSL. His alliance with the traitors of the nation jeopardised politically. I am positive president will forgive him and reinstate him. He is better than the silvas and ratwattes. well at least they were not dumb as originally thought!